Leading Manufacturer of non woven printed bag, printed non woven bags and single coloured printed bags from Jaipur. We have established ourselves as a popular organization engaged in manufacturing, trading, exporting and supplying a wide range of Non Woven Printed Bag. 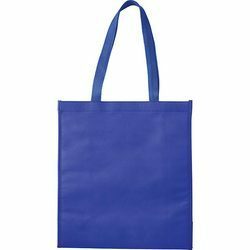 We have established ourselves as a popular organization engaged in manufacturing, trading, exporting and supplying a wide range of Printed Non Woven Bags. The bags we offer are made using quality approved fabric as per prevailing market trends. Our offered bags are widely appreciated by the clients for their features such as excellent finish and ability to carry heavy weight. 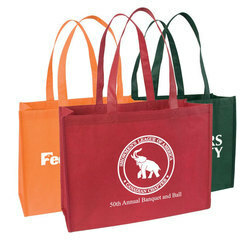 We offer these bags in various sizes, patterns, designs and colors at pocket friendly prices to our patrons. 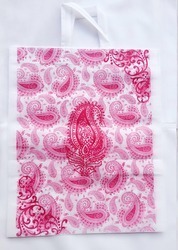 These Single Coloured Printed Bags we offer are made using quality approved fabric as per prevailing market trends. Our offered bags are widely appreciated by the clients for their features such as excellent finish and ability to carry heavy weight.